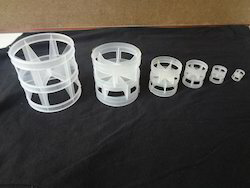 Our range of products include hdpe pall ring, cpvc pall ring, pvdf pall ring, pvc pall ring and pp pall ring. Our organization is prominent manufacturing and supplier of a comprehensive range of HDPE Pall Ring. This range can be availed from us at the most legit market prices in surplus. Widely demanded in the international arena, our range is a quality product and fulfills the requirements of the customers easily. CPVC Pall Ring is the result of the post-chlorination of PVC. Customers can easily choose from a wide variety of sizes and specifications in this range. 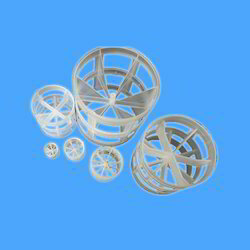 Widely appreciated for its dimensional accuracy and optimum quality, the ring range is a distinct product of ours. Owing to the expertise of our professionals we are able to offer to them some of the most comprehensive and qualitative PVDF Pall Ring. The offered range has been designed in complete compliance to the standards of the industry. Extensively used across different industrial sectors, this product is perfect in packaging solutions. 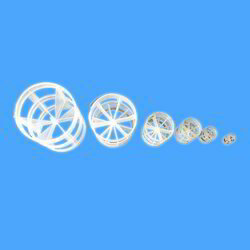 Our organization has been widely engaged in the process of manufacturing and supplying of best quality PVC Pall Ring. We offer this range in compliance to the standards of AISI SS 316/316L, AISI SS 304/304L, CS, SS (410, 430 and 202). 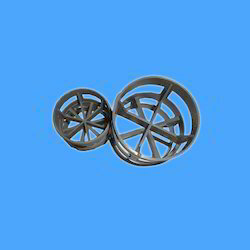 This ring range has been specially fabricated out of best quality Copper, Inconel, Titanium and other alloy steels. Our firm offers to its coveted customers a comprehensive range of PP Pall Ring. The offered range has been designed with utmost perfection and in accurate dimensions. Customers are offered this ring range at the most comprehensive and market leading whole sale prices.